The decision to have spine surgery is never one patients or doctors take lightly, but it is the right solution for many people who are suffering from chronic back pain. 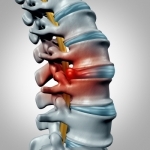 Should you consider spine surgery in Miami for your back pain? Here is what you need to know. A rthritis can cause a significant amount of back pain and lead to serious mobility issues. A number of different kinds of arthritis can affect the back, so it is important to see a spine doctor in Miami to get a definitive diagnosis and the proper treatment plan. Could arthritis be to blame for your back pain? Here is what you need to know. Spinal stenosis is a condition in which the spinal canal is narrowed, which places pressure on the delicate spinal cord and causes symptoms like back pain, numbness, tingling, and muscle weakness. If you have spinal stenosis, you could consider talking to a spine doctor in Miami about your medical treatment options.